When nothing but the best will do, Charlie’s Pride has the perfect selection of tender, juicy and flavorful meats for any occasion. Our Choice line of Roast Beef, Corned Beef and Pastrami has the mouth-watering taste, texture and appearance to impress the most demanding guests. And Charlie’s Pride Angus Beef is, without a doubt, a world-class delicacy. Raised in America’s heartland, it’s made from the highest quality Angus Beef on the market, resulting in exceptional marbling, succulence and flavor without comparison. 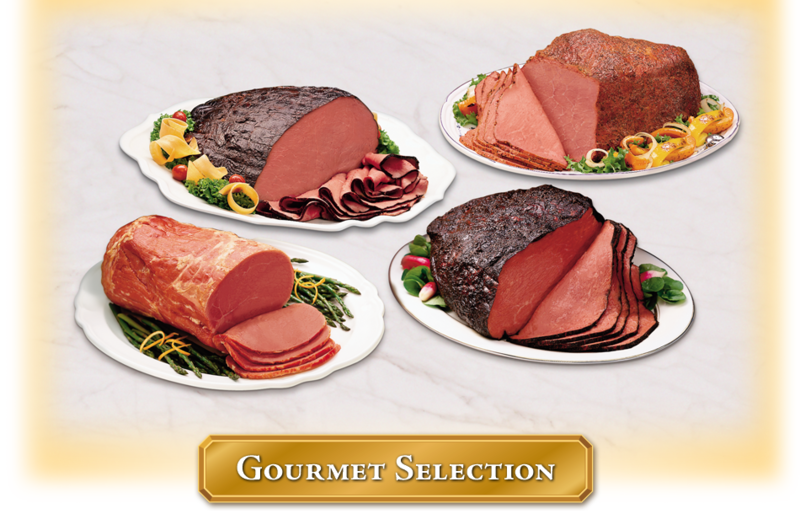 You can feel confident that you have chosen the world’s best gourmet meats. Remember - They're Charlie's Pride! All of our Gourmet Selection products are chosen for their superior quality, have 0g Trans Fat and No MSG Added. Available non-injected, seasoned (back-to-beginning weight), or with a 10% solution added. Sold whole (8-12 lbs) or deli-faced (4-6 lbs). Available in Bottom Round Flat and Eye of Round. Lean cuts of mouth-watering beef. Serve hot or cold. Great for sandwiches. Available in back-to-beginning weight, with a 10% or 15% solution added. Sold whole (8-12 lbs) and deli-faced (4-6 lbs). Can be ordered with a Western rub. Available in Bottom Round Flat and Eye of Round. Ideal for slicing programs and sandwich making. Serve hot or cold. Available in back-to-beginning weight, with a 10% or 15% solution. Sold whole (8-12 lbs) and deli-faced (4-6 lbs). Can be ordered bag cooked. Available in Bottom Round Flat and Eye of Round.